Or scroll down to view UVB bulbs! The advantage of the Solar Glo is that it is a self-ballasted, all-in-one, Sun Simulating Bulb with an easy-to-install regular screw fitting. It provides heat, UVA, UVB and visible light all in one bulb, which makes it the choice of professional breeders. The New and Improved Spectrum is geared to offer your reptiles a close simulation of natural sunlight in all of its aspects. 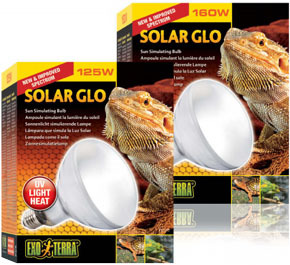 The Exo Terra Solar Glo is a selfballasted mercury vapor reptile lamp that provides the benefits of natural sunlight, which is one of the most important aspects in keeping reptiles healthy. The Exo Terra Solar Glo is the choice of professional breeders as it provides the proper balance of ultraviolet light (including UVA and UVB), visual light and infrared light (heat), in one easy-to-install bulb. The Exo Terra Solar Glo is a full spectrum light with carefully tuned peaks to ensure appetite, activity, brilliant colours, and optimal calcium absorption through Vitamin D3 production. The Exo Terra Solar Glo is a selfballasted mercury vapour lamp, which fits into a standard ceramic socket (No ballast needed). 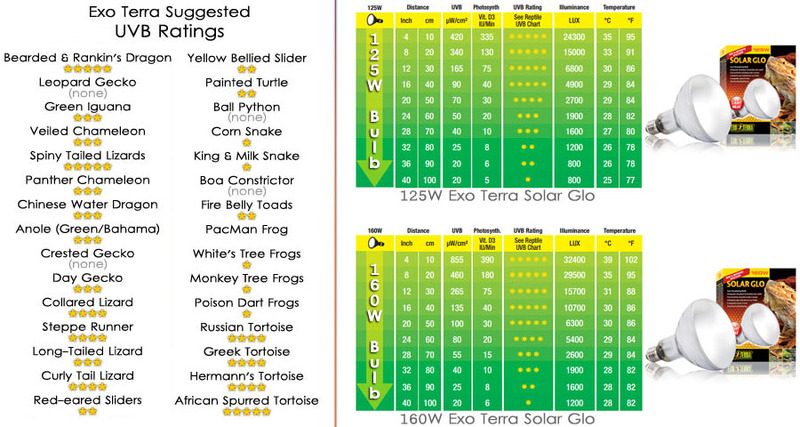 The Exo Terra Solar Glo is available in two wattages: 125 W and 160 W.
Not sure which bulb to choose for your animal? The Exo Terra Reptile UVB100 emits optimal levels of UVB, similar to that of shady environments such as rain forests or other tropical locations. Reptiles living in these habitats receive moderate UV radiation due to the climatological conditions (fairly high humidity, changes in weather, etc) that prevent unfiltered sunlight from reaching the reptile's basking site. The optimal Vitamin D3 yield index ensures vitamin D3 photosynthesis to aid calcium absorption and prevent metabolic diseases. Effective up to 15" away. Formerly called Repti-Glo 5.0. The Exo Terra Reptile UVB150 has a very high UVB output similar to sunlight in deserts. These locations receive more direct sunlight, therefore desert reptiles are more exposed to UV radiation than any other type of reptile. This bulb can also be used on terrariums with denser screen covers to ensure sufficient UVB penetration. Dense screens can filter out up to 50% of the UVB rays. The high Vitamin D3 yield index ensures vitamin D3 photosynthesis to aid calcium absorption and prevent metabolic diseases. Effective up to 20" away. Formerly called Repti-Glo 10.0. The Reptile UVB200 bulb is especially designed to simulate conditions for reptiles with very high UV requirements, and for very tall enclosures. These areas receive direct unfiltered sunlight with high levels of UVB. The very high Vitamin D3 yield index results in an increased vitamin D3 photosynthesis to aid calcium absorption and prevent metabolic diseases. 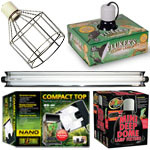 The extended penetration makes this bulb the ideal choice for taller terrariums or for terrariums with denser screens. 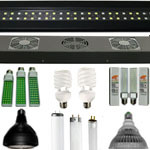 The UVB 200 is the best choice of the Exo Terra UVB CFLs when distance between animal & bulb will be over 20". Zoo Med sets the standard in herp-hobby UVB producing bulbs. A few hobbyist-driven UVB comparisons showed Zoo Med's UVB products outperformed other major brand names for UVB output, and we're big fans of the ReptiSun line at NEHERP. 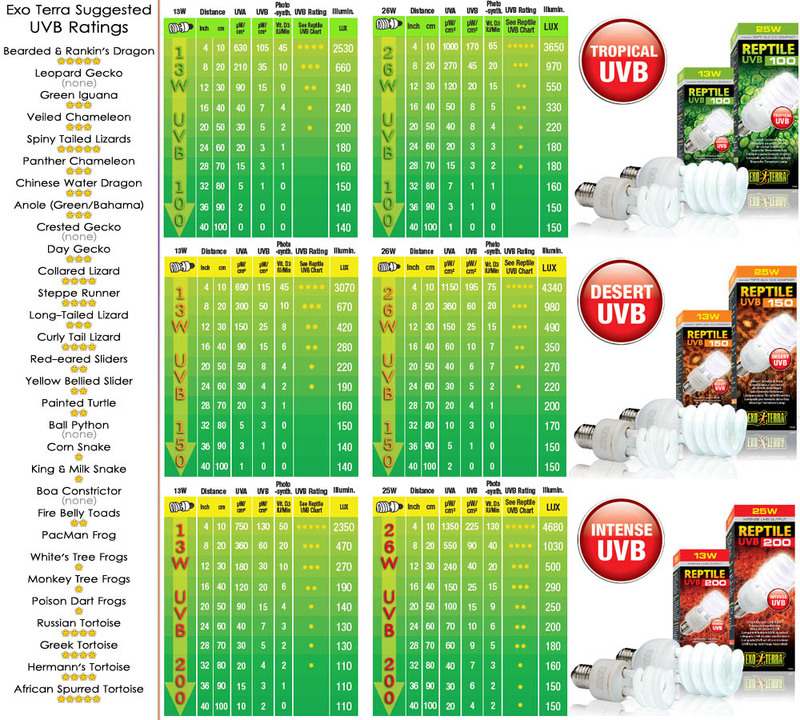 On a visual (not related to UVB) note,the "cool" color temperature of Zoo Med's UVB Bulbs appears to fall somewhere between our recommended range of 5000-6700K, while other brands look far more yellow (less natural) for a live vivarium environment. If you are looking for an application-specific recommendation for your live vivarium enclosure (and a discount! ), you might want to check out our Supplemental UVB Kits which are listed on our Kit Extras pages. ReptiSun Compact Fluorescent lamps use a special UVB transmitting quartz glass for maximum UVB penetration. Cool burning compact fluorescent bulbs screw into standard threaded sockets, eliminating the need for a separate ballast. Lamp can be oriented either vertically or horizontally in your reptile hood or clamp lamp fixture. UVB emissions help prevent or reverse metabolic bone disease and UVA increases feeding, mating, and other natural behaviors. 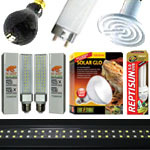 The Reptisun 10.0 bulbs are perfect for all desert and basking reptiles, with 10% UVB Output, and 30% UVA Output. The Reptisun 5.0 bulbs are perfect for all tropical species of reptiles and amphibians, with 5% UVB output, and 30% UVA output. 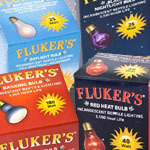 Both styles are full spectrum bulbs. Be sure to provide a basking spot within the appropriate range! 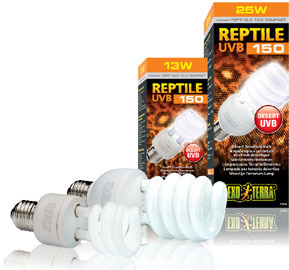 Stronger UVB and Brighter Light: Twice as strong as standard ReptiSun T8 lamps! Increased UVB output is perfect for larger reptile habitats (lamp distance chart above). Helps to prevent or reverse metabolic bone disease, commonly seen in captive reptiles. Used and recommended by Zoos, Veterinarians, and top reptile professionals. Made in Germany. 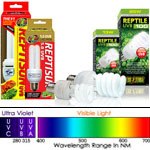 The Reptisun 10.0 bulbs are perfect for all desert and basking reptiles, with 10% UVB Output, and 30% UVA Output. The Reptisun 5.0 bulbs are perfect for all tropical species of reptiles and amphibians, with 5% UVB output, and 30% UVA output. Both styles are full spectrum bulbs. CLEARANCE - DISCONTINUED @ NEHERP! Save Up To 20%: Our Lowest Zoo Med T5HO Prices Ever! Extremely low quantities available! All sizes below 36in already sold out!